One last summer to escape, to find herself, to figure out what comes next. 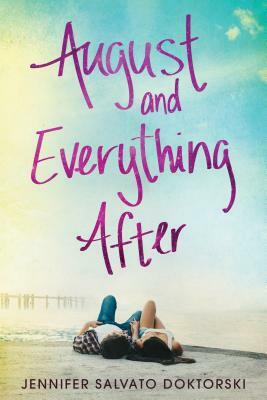 Fans of Sarah Dessen and Jenny Han will love this contemporary, coming-of-age romance. Graduation was supposed to be a relief. Except Quinn can't avoid the rumors that plagued her throughout high school or the barrage of well-intentioned questions about her college plans. How is she supposed to know what she wants to do for the next four years, let alone the rest of her life? And why does no one understand that it's hard for her to think about the future--or feel as if she even deserves one--when her best friend is dead? Spending the summer with her aunt on the Jersey shore may just be the fresh start Quinn so desperately needs. And when she meets Malcolm, a musician with his own haunted past, she starts to believe in second chances. Can Quinn find love while finding herself?